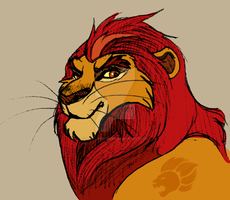 I like Kion. Zuri... Yes she's a good bride for Kion. 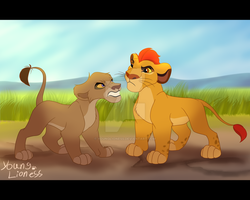 But Jasiri x Kion still my fav. couple. Still a lovely artwork! Good Jobs! Fantastic work of their adult form ! Beautiful work here on both of them. 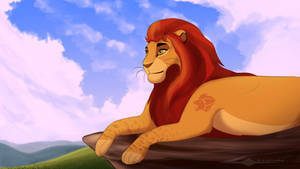 But I wonder what happened to Kiara and Kovu? Great work here. 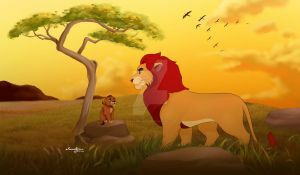 This would be something for Kion's future. Fantastic pic of these two! Wonderfully detailed, and I LOVE your design of them as adults. TERRIFIC!!!!! Keep up the fantastic art!